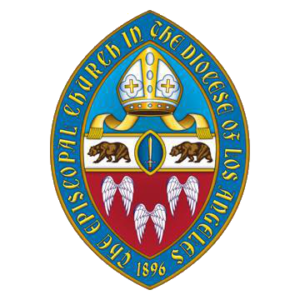 The Episcopal Church Women of the Diocese of Los Angeles (ECW-LA) will host its annual retreat and business meeting, themed “Time for a Refill: A Day of Refreshment and Self Care,” on Saturday, Feb. 23, 8:30 a.m. – 2:30 p.m. at the Cathedral Center of St. Paul in Los Angeles. Evita Krislock, Province 8 ECW president, will offer the keynote address on “Sacred Listening,” based on Kay Lindahl’s popular books. Homilist at the Eucharist will be Canon Kathy Hannigan O’Connor, wife of Bishop John Harvey Taylor. Intergenerational programs to be offered will include “Self Assessment “ with Nora Harris (Girls Friendly Society); “Spiritual Refreshment” with Kimberly Cortner (Daughters of the King); and “Self Healing with Essential Oils” with the Rev. Jo Ann Weeks. A buffet lunch will be served, and light refreshments will be provided throughout the day. Cost is $35 per person or $50 per family if registered and paid in advance; $40 per person at the door. The Cathedral Center is located at 840 Echo Park Avenue, Los Angeles.